Simple tips to help you get through your work day. 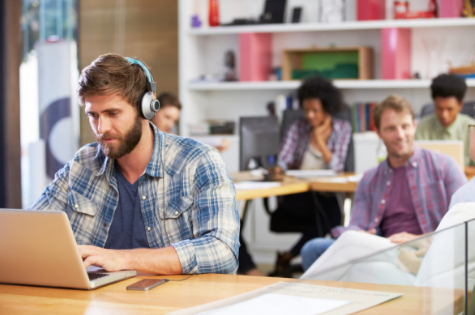 Coworking in Australia has created opportunities for businesses and professionals to connect quite easily. The space’s very comfortable design and boundary-free structure encourage social interaction and collaboration. Furthermore, depending on the particular coworking space, this engaging office format can really be a resource for most businesses. For one, it invites professionals from diverse industries to work in one of the most affable work environments. Professionals have a few options to choose from when coworking, as hot desks, dedicated desks, and the private offices are a few of the choices. The hot desk, more specifically, cannot only be a place to work but it can be a resource for getting information. When it comes to choosing a hot desk - Servcorp Australia, for example, has a very extensive menu of options giving businesses a range of options. Let’s take a closer look at some of the advantages of hot-desking. The great thing about the hot desk is that they work on an as-needed basis. The ease and convenience with which these spaces can be rented make it great for people who travel a lot. With a few spaces allowing professionals to pay daily rates, the hot desk can be a viable solution for professionals travelling on business and who travel frequently. This space does not only work for the frequent traveller, but it also is a place for professionals who are uncommitted to a particular location. With access to space at any workstation, they only need to bring the materials they need to work. Professionals can come to the space and find a seat at any open workstation at any time of the day or evening, as long as the space is open. Because shared space is accessible on a first-come-first-serve basis, professionals looking to leverage the hot desk will definitely see their overhead drop as a result of renting space at a hot desk. As stated previously, professionals who adopt the hot desk will find that they only pay for workspace and nothing else unless they choose to add from options on the menu to their plan. In exchange for rent, professionals can really get a lot of value for the price. In addition to renting a workspace, professionals get the benefit of joining a community of like-minded professionals. This community can in many ways provide a platform for accessing resources in and outside the coworking community. Ultimately, the hot desk provides businesses with the freedom and flexibility of working in a professional workspace at a much lower price. Because of the proximity in which professionals sit, the coworking space provides them with the chance to get to know each other. Whether the desks are set up as work stations or organised in rows, there are plenty of opportunities to connect with people in the workspace. Furthermore, because the space is a mix of industries and a mix of professionals of all ages and backgrounds, the workspace - at least the hot desk - is fertile ground for developing business relationships. Finally, the hot desk is one of the few workspace formats that alleviates professionals of the hassles related to moving into space. When joining the office, professionals only need to bring their work materials, and if you decide to leave the space, you do not have to worry about orchestrating a move involving moving an entire office. When and if you decide the space does not work for your business needs, you can pick up and go effortlessly. The hot desk is a great place to create opportunities to build teams through social interaction. It has to be one of the most hassle-free office plans, which provides professionals with both freedom and flexibility. Finally, this low-cost alternative to the modern office can save professionals countless dollars while alleviating the stress of making overhead every month.